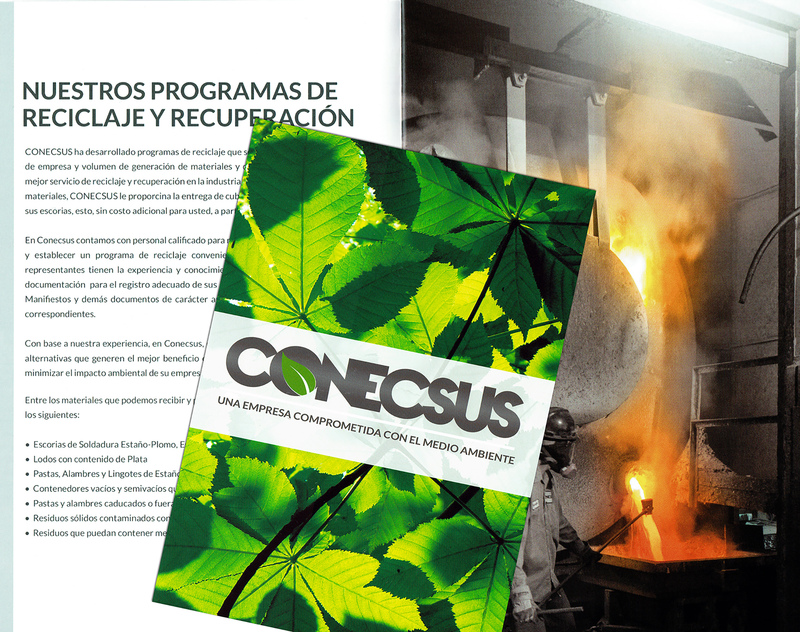 Terrell, Texas, USA — Conecsus, LLC, an innovative environmental technology and recycling company, announces the availability of their compact, free 14-page color brochure translated into Mexican Spanish. The brochure outlines the major benefits of recycling metals waste (solder, dross, consumables) for electronics manufacturers and PCB assemblers. Conecsus processes wastes containing primarily Tin, Tin-Zinc, Lead, Silver, Gold, and Copper, and converts them into usable metal products for sale into the global market; these true metals recycling solutions reward the recycling customer by paying cash for waste back to the customer. Conecsus’ Tom Mitchell, North American Business Manager, stated, “We’re pleased to offer our popular brochure in the language spoken by our valued customers in Mexico; we’re one of the few companies in our industry that offer our literature in Mexican, which differs from Catalan Spanish. We’re unique in other ways, too. We are the only recycler who can take our customers’ contaminated trash as a non-hazardous product stream instead of a hazardous waste stream. This is a tremendous benefit to our customers because they do not have to report this kind of waste to the EPA as a “Toxic Release/Transfer”. Conecsus offers the SMT/PCB electronics manufacturer a new way of dealing with metals-contaminated waste in an increasingly environmentally-conscious manufacturing world. With patented, advanced recycling technologies, Conecsus keeps its customers compliant with local, state, and federal regulations while decreasing their carbon footprint and reportable waste streams. “Best of all, we pay our customers back for their metals waste, and we offer the fastest payment performance in the industry,” Tom adds. The new brochure covers everything from individualized waste management programs to understanding environmental compliance and laboratory and analytical services. The new brochure is easy to obtain; visit www.conecsusllc.com and request a print copy (specify Mexican) of the brochure in the Message box on the CONTACT page and provide your mailing address. Founded in 1980, Conecsus, LLC’s mission is to provide innovative and high-quality industrial byproducts management, metal recovery, and recycling options that provide world-class value and service to our customers, and display respect and stewardship toward the environment. For more information, visit www.conecsusllc.com.